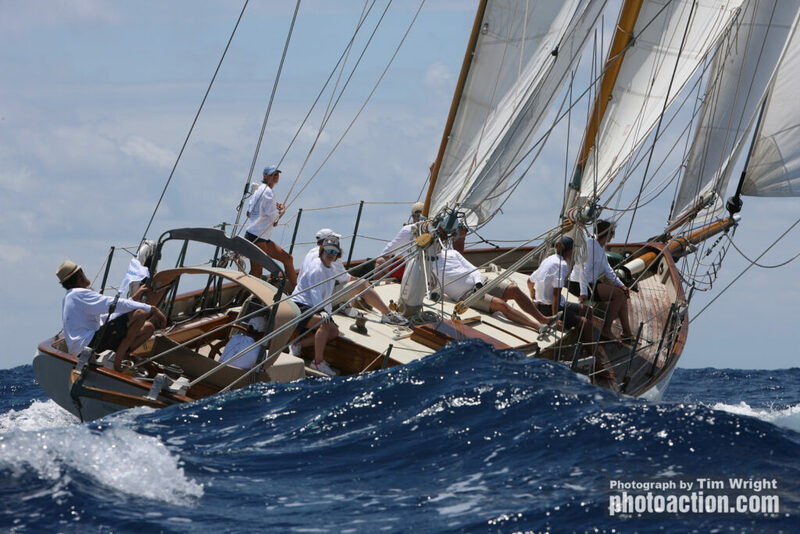 The spirit of Antigua’s Classic Yacht Regatta and toasts of Mount Gay Rum raise skyward as each member of the 2019 fleet sails in. Some vessels came early to take advantage of talent flowing from supporters Chippy Fine Yacht Woodwork and Woodstock Boat-builders, along with expertise from teams of local brightwork artists. Pre-race activities dockside involve blue tape, varnish, and proud, beamy smiles. Highly anticipated courses, new this year, are the talk of the harbour. Windward starts will be off Fort Charlotte where, according to Sailing Committee member, Tommy Paterson, “Spectators will have a much better view- like having your own private helicopter.” Big boats will sail a longer course with the Tall Ships, providing everyone equal time on the water. Modifications made to the Old Road, Butterfly, Cannon and Windward courses will ensure greater safety for our highly diverse fleet. Racing begins Thursday with the 20th running of the Single-Handed Race. Past competitions, on vessels ranging from 19’ to 130’, tested skill and endurance of each intrepid captain. Legendary mariner, Don Street, took part in the Classic Regatta specifically for the Single-Handed Race and everyone joins in the post-race Dark and Stormy celebration. Each vessel carries an observer for safety and some take a photographer to capture the antics of the one-person show. Joining us from the island of Elba, Italy is LOCMAN, creator of exquisite time pieces. 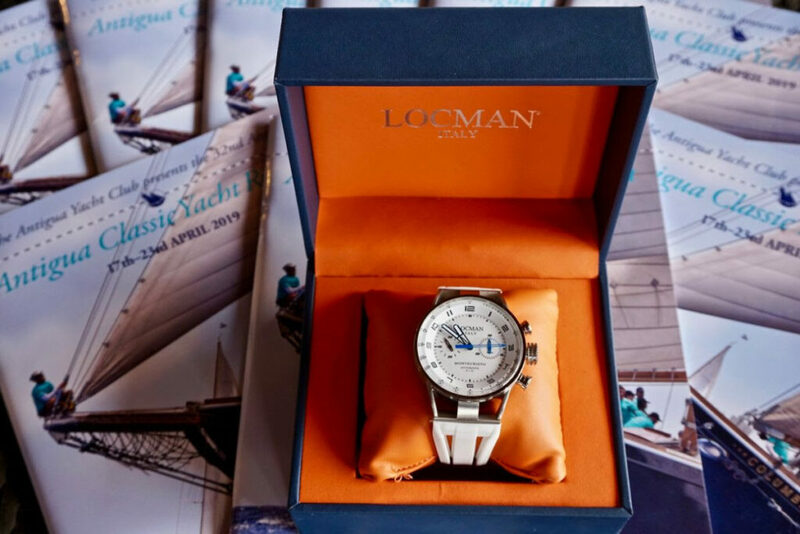 Their support and generous sponsorship enhance the regatta and trophy table with the addition of a limited number of specially engraved LOCMAN watches. These elegant prizes are the inspiration for a new level of competition and a proper reason not to reef. 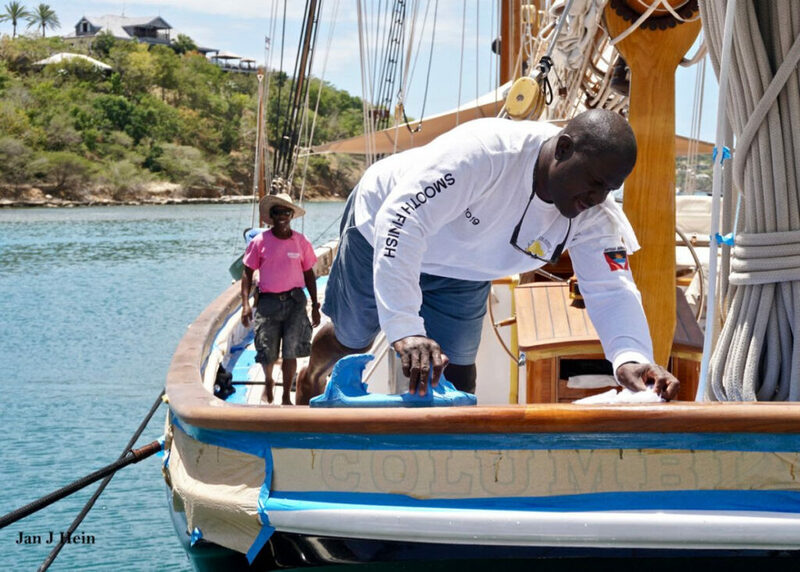 Schooner 88’ Ocean Star returns after a Caribbean winter of sail training as part of the Seamester Global Programme. At the ACYR, students will take part in an immersion course of tradition and history as they race their classroom around the marks. Long time competitor, The Blue Peter, sailed in from the Barbuda set of a Love Boat movie based on Germany’s longest running television series, Das Traumschiff . The 65’ Mylne cutter, captain Matthew Barker and first mate Jack Heard will soon be on the big screen so be sure to ask for autographs. One beloved skipper and boat will be sorely missed this year. 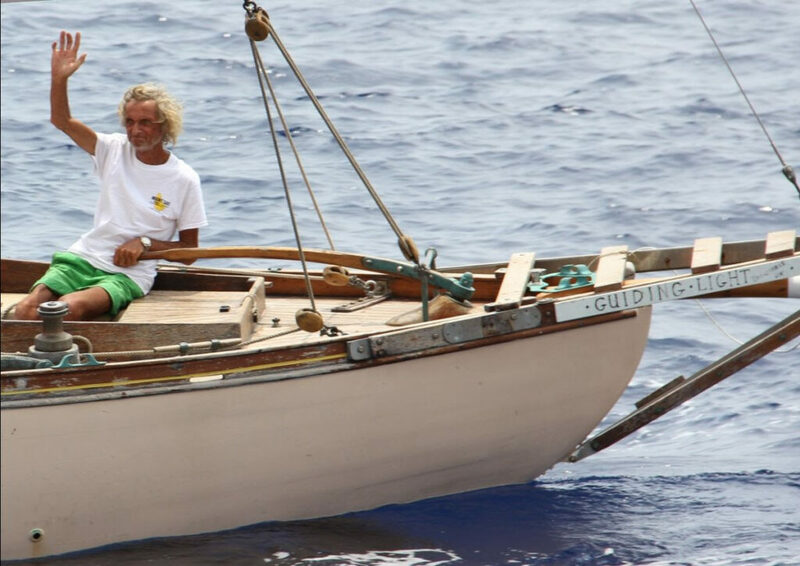 Long time Classics participant, Roy Boughton, was lost at sea last fall. Like the name of his 1936 Gauntlet Cutter, Roy’s spirited legacy is a Guiding Light for the future of traditional sailing. Dockage begins Wednesday, hosted by the Antigua Yacht Club Marina and Resort and sponsored by Brova Idea. Race Headquarters are next door upstairs staffed by a rising tide of volunteers. Get underway, get on a plane, just get here- for an unforgettable week of racing and revelry.